LONDON — To think that all this time that poor old half-faced composer hasn’t been dead at all, just stewing in his lust for greater glory. Being the title character of “The Phantom of the Opera,” the most successful musical of all time, wasn’t enough for him. Oh, no. Like so many aging stars, he was determined to return — with different material and a rejuvenated body — to the scene of his first triumph. So now he’s back in the West End with a big, gaudy new show. And he might as well have a “kick me” sign pasted to his backside. It’s hard not to feel sorry for the Phantom, who has been uncomfortably reincarnated in “Love Never Dies,” which opened Tuesday night at the Adelphi Theater here. Surely no stage show has ever been as widely and severely prejudged as this belated sequel from Andrew Lloyd Webber. You see, Mr. Lloyd Webber’s original “Phantom of the Opera,” based on the oft-filmed 1911 novel by Gaston Leroux, has developed a stark raving fan base since it opened (and never closed) in London and on Broadway in the late 1980s. When the news got out that there was to be another show about the Phantom — to be set in early-20th-century Coney Island, no less, instead of gaslight Paris — a few of those fans took to their cybersoapboxes to cry sacrilege. Soon theater writers (including me) were receiving e-mail messages from “Phantom”-ites lamenting the show’s rank inappropriateness. And they hadn’t even seen the darn thing. Once the musical went into previews, many were reporting in chat rooms and blogs that their darkest fears had been confirmed. Of course, bad advance word on the Internet has sometimes proved false. (Ever hear of “Avatar”?) And I would be delighted to tell you that’s what happened here, especially since “Love Never Dies” is scheduled for Broadway this fall. But how can I, when at every opportunity Mr. Lloyd Webber’s latest sets itself up to be knocked down? Directed by the protean Jack O’Brien (“Hairspray,” the New York production of “The Coast of Utopia”), choreographed by a seriously underused Jerry Mitchell and designed by Bob Crowley (“Mary Poppins,” “The History Boys”), this poor sap of a show feels as eager to be walloped as a clown in a carnival dunking booth. For starters, the title, with its promise of immortality, was just asking for trouble. And its breathless solemnity pervades the show’s every aspect. This production keeps such a straight face, it’s as if the slightest smile might crack it. It never acknowledges that in a musical in which no one could exactly be described as animated, it might be a mistake to introduce your leading lady in the form of an automaton in her image. Or that it’s probably not a good idea to have your hero, in his first solo, sing “the moments creep, but I can’t bear to sleep” to a melody that moves like a sloth in quicksand. Under his assumed name, the Phantom engages Christine Daaé (Sierra Boggess), the famous French soprano whom he once stalked and hypnotized, to appear in his show. Wearing the latest in French fashion (and a cunning little head mike), she arrives with her vicomte husband, Raoul (Joseph Millson), and her 10-year-old son, Gustave (played by a rotating cast of child actors). The advent of the glamorous Christine antagonizes the Phantom’s envious aides-de-camp, Madame Giry (Liz Robertson, doing a Frenchified Judith Anderson as Mrs. Danvers in “Rebecca”) and her daughter, Meg (Summer Strallen), hitherto the singing star of Phantasma. Friends of “Phantom” will recognize these characters, as they are all (except Gustave) recycled — and in some cases, changed beyond recognition — from the earlier show. The book is credited to four writers: Mr. Lloyd Webber, the comedian Ben Elton, the novelist Frederick Forsyth and the show’s lyricist, Glenn Slater. And its plot is so elaborate and implausible it makes the libretto of “Il Trovatore” read like a first-grade primer. If you don’t know the first “Phantom,” you will be very confused; if you do know the first “Phantom,” you will also be very confused. Granted, using Coney Island as the setting makes a certain sense. “The Phantom of the Opera” was one of the first (and best) versions of that grandiose showbiz genre, the musical as amusement park ride. (The last time I saw it, 10 years ago, it was sort of like visiting Coney Island’s venerable Cyclone roller coaster, rickety but sturdy.) So why not put on a show set in a real amusement park? Yet the wheels that keep this particular park in motion grind torturously. There’s no equivalent to the stage-crossing gondola of “Phantom” (unless you count the mechanical glass horse that briefly appears in Act I). The thrill rides, like much of the scenery here, are digital projections (often rather pretty) on scrims. Most of the three-dimensional scenery is made up of vast Art Noveau gates and sculptures, huge creations that match Mr. Lloyd Webber’s melodies in form and weight. While lushly orchestrated (by David Cullen with Mr. Lloyd Webber), the score is, for the most part, so slow that you have time to anticipate Mr. Slater’s next leaden rhyme. Each of the songs — which range from bathing-beauty frolics to power-chord operetta ballads — spins a single tune until it loses its tread. Since the lead singers are required to haunt demanding, throat-taxing upper registers, it is perhaps too much to expect them to act as well. As the Phantom, Mr. Karimloo sings with all the force that artificial amplification allows. Vocally, the pretty Ms. Boggess (who starred in “The Little Mermaid” on Broadway) combines the more mechanical qualities of Jeanette MacDonald and Julie Andrews. Mr. Millson glares handsomely. And Ms. Strallen, as the unappreciated Meg, has a spark of something like personality. If this show could speed up and loosen up it might be (marginally) more amusing. As it is, only a couple of sequences are campy enough to elicit “whoa, nelly” smiles. Well, one, anyway: an electric-rock number in which the Phantom, accompanied by an automaton skeleton organist, communes with little Gustave, who takes off his jacket and swings it in the air, like a miniature Van Halen member. That’s the concluding number of the first act, and it actually has some energy. But true to self-sabotaging form, this musical follows that song with the bizarrely unexciting postscript of Mrs. Danvers, I mean Mme. Giry, tossing the kid’s jacket down a stairwell. This is matched, in the second act climax, by what feels like the longest death scene of all time. Relax, I’m not going to tell you who dies (while gasping out a reprise of the title song). 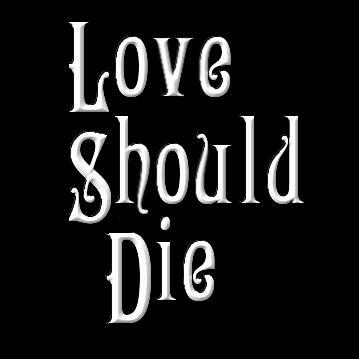 Why bother, when from beginning to end, “Love Never Dies” is its very own spoiler.